(TORONTO, ON) – The Repeat Offender Parole Enforcement (R.O.P.E.) Squad is requesting the public’s assistance in locating a federal offender wanted on a Canada Wide Warrant as result of their Breach of Parole. 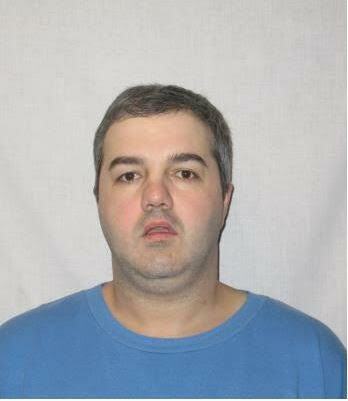 Jason LEBRETON is described as a white male, 37 years of age, 5’9″ (175cm), 192lbs (87kg), with brown eyes and black short hair. He has scars on his chin and right forearm. He is serving 4 years and 9 months for Theft, Possession of Property Obtained by Crime, Operate Motor Vehicle While Disqualified, Assault, Fraud Over, Mischief, Criminal Harassment, Take Motor Vehicle/Vessel Without Consent, Fail to Appear, and Fail to Comply with Recognizance. The offender is known to frequent the Greater Sudbury Area, Ottawa, Windsor, Greater Toronto Area and North Western Ontario.